Is Russia "Buying" the West? It is wrong to view Russia's political warfare as merely a kind of "competition" that lacks the seriousness of an actual military confrontation. As the Center for Strategic and Budget Assessments (CSBA) report -- detailing Russia's political warfare -- indicates, politics is war by other means. 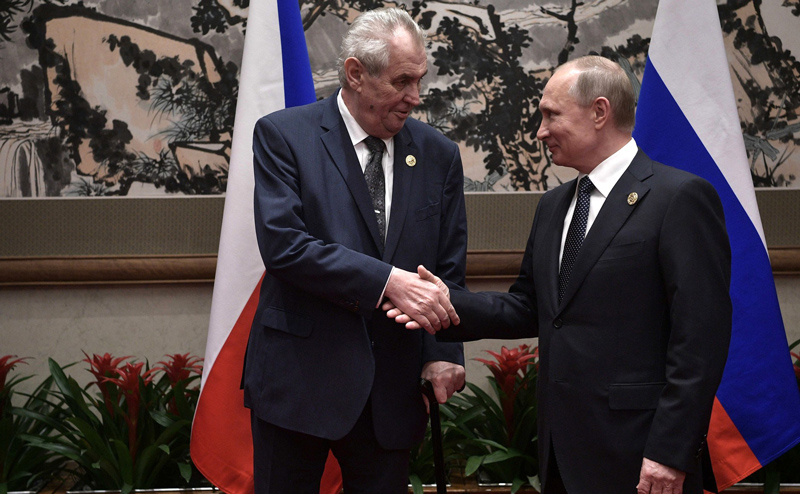 Since then, however, the Czech Republic seems to be moving in the opposite direction, with an openly pro-Russian leader, President Milos Zeman. As one colleague of mine put it: "Could the land of the Velvet Revolution be slowly falling under the spell of Putin's propaganda?" Jakub Janda, director of the European Values Think-Tank in Prague, worries that one measure of the success of Russian propaganda is that four out of ten Czechs blame the U.S. for the Ukrainian crisis, although there are Russian troops occupying part of the territory of Ukraine. And only 20% of Czechs believe that Russian-organized troops are not operating in Ukraine, a view held by President Zeman. That countries with such promise as the Czech Republic are possibly sacrificing all that they gained after the end of the Cold War for the Russian government is a sad commentary on the condition of European societies. The good news is that there are brave elements within these societies who seek to push back and reclaim their freedom and sovereignty. Their efforts deserve not only our praise, but our full support. With the collapse of the Warsaw Pact and the official dissolution of the Soviet Union in December 1991, NATO assumed that the newly freed countries of Eastern and Central Europe (commonly referred to as the ECE) would join with Western Europe and become both free and prosperous. It was not an entirely reasonable assumption, however: the Russians did not want to accept the end of the Soviet empire; nor were they ready to jettison decades of deep suspicion about the aims of the West, particularly the United States and NATO. Although the Russians sought economic influence throughout Eastern Europe after the end of the Cold War, they were nevertheless supportive of Russian President Mikhail Gorbachev's full acceptance of the reunification of Germany and independence for the former members of the Soviet bloc. Today, Russian "interference" in Eastern and Central Europe -- is often described as the invasion of eastern Ukraine and the Crimean Peninsula, with little, if any, attention paid to Russian military incursions and cyber-attacks against both Moldova and Georgia. Bad as these attacks are, since further Russian military incursions have not occurred in other areas of Europe, a number of Russia "experts" in the West, such as The Nation's Stephen F. Cohen, have been arguing that the threat from Moscow is not all that serious. According to such assessments, Russia's aggression has served to intimidate its neighbors, but not much more than that. This notion, however, is not accurate. While Russia's military "adventures" certainly have succeeded in intimidating its neighbors, its behavior is part of a more extensive campaign of "active measures" against Eastern and Central Europe. These "active measures" are well-documented in a study released at the end of May by the Center for Strategic and Budget Assessments (CSBA), detailing Russia's political warfare – involving systematic subversion and bullying -- which some emerging democracies in are ill-equipped to handle. It is wrong to view Russia's political warfare as merely a kind of "competition" that lacks the seriousness of an actual military confrontation. War may indeed be what Carl von Clausewitz called "politics by other means." But, as the CSBA report indicates, politics is war by other means. Forty years ago, the Reagan administration surveyed the landscape, rejected "détente" with the Soviets, and campaigned to end a very aggressive, offensive element in Soviet behavior, termed by the intelligence community at the time as "active measures." Today, it is almost with relief that analysts point to Russia's "failure" to invade all of Ukraine as somehow evidence of overall Russian restraint in Eastern and Central Europe and as a reason for the United States and its NATO allies not be too concerned. At a panel discussion at the Center for Strategic and International Studies (CSIS) in Washington, D.C. in June, author Seth Jones said that the Reagan administration correctly sought to "diagnose the problem" of Soviet active measures, a key part of which was Moscow's support for the nuclear-freeze movements in the United States and Europe. The Soviets in particular were trying to stop U.S. deployment in England, Germany, Italy and the Netherlands of Pershing II and GLCM or ground-launched cruise missiles, all intermediate-range ballistic missiles armed with nuclear warheads, as a counter to the massive Soviet deployment of SS-20 missiles in Europe and Asia. This Soviet missile deployment was bad enough, but its political disinformation campaign was critical to its overall campaign against the West. Understanding the danger of this campaign, the Reagan administration thankfully waged "counter-information warfare," a key part of its successful strategy to stop the Soviet measures, and in so doing help precipitate the eventual collapse of the U.S.S.R. Given Moscow's behavior today, why is the U.S. not engaging in a similar counter-information campaign? After all, it is not as if Washington has been unaware of what Russia is up to. Early in the term of the previous administration, a group of central and eastern European leaders wrote an open letter to President Barack Obama warning that "Russia was using overt and covert economic means, as well as disinformation, to change the transatlantic orientation of NATO members." In early 2018, the Bulgarian think tank, the Center for the Study of Democracy, examined Russian economic pressure and influence on five Balkan states -- Latvia, Hungary, Slovakia, Bulgaria and Serbia -- over a 10-year period. The question studied was whether Russia was changing the geostrategic politics of these countries. The conclusion was that Russian "investment" in energy and media companies had an important impact, as did Russian involvement in real estate and infrastructure projects. Such Russian "active measures" – noted CSIS panelists, using the Reagan model as an example of what should be done today -- are poorly understood and rarely countered by Western governments. Take, for example, the Czech Republic. After the Cold War, the Prague Security Studies Institute (PSSI), established in 2002, symbolized the blossoming of free thought in the former Warsaw Pact countries. Guided by a Reaganesque worldview of "peace through strength" and "free enterprise," it has done important work on Russian "dezinformatsiya" (disinformation), and highlighting the Russian economic and financial warfare being waged against vulnerable post-communist states. This threat and how best to deal with it was brought home when the ambassadors to the United States from Latvia, Estonia and Lithuania spoke at an energy seminar in 2014, and declared their total support for bringing U.S. natural gas supplies to their countries as a means of transforming Russia "from an energy bully into an energy supplicant." They expressed hope that the U.S. would end its 1975 ban on the export of natural gas, so that their countries could have an alternative to the Russian monopoly on their energy supply – a coercive factor in the Baltics' relationship with Moscow. They got their wish in December 2015, when Congress voted to lift the 40-year-old export ban. Particularly worrisome is the distribution of Russian disinformation through the outlet Parlamentni Listy (Parliamentary Letters). This site is routinely used by the Czech arms company CSG for the dissemination of pro-Russian information. Incidentally, CSG is President Zeman's largest political donor. It is also an important supplier of weapons to the Czech military. Meanwhile, it has reportedly been buying up defunct arms manufacturers in the former Yugoslavia, and selling unused, often inferior, weaponry. "Nowadays, when the Kremlin makes a covert effort to exert political influence and undermine democracy, it has far more tools available — big companies, rich oligarchs, both of which need to keep in with the government. Instead of the brotherhood of mankind and the unity of the proletariat, modern Russia can appeal to a much simpler instinct: greed." RWR Advisory Group LLC, headed by Roger W. Robinson – Chairman of the Prague Security Studies Institute -- possesses detailed data on all Chinese and Russian transactions worldwide collected on a daily basis.His firm differentiates those transactions that are strategic and security-related in nature versus those that are more benign and commercial. Robinson told this author that there are offers of $10 billion by each of China's CGN and Russia's Rosatom to build two (and possibly three) new nuclear reactors for the Czech Republic at its Temelin and Dukovany NPP power complexes. In the case of CGN, the company was indicted in the U.S. in 2016 for "stealing Westinghouse technology." In 2015, the Czech government claimed that such Russian behavior severely destabilized the European security architecture and showed a lack of respect for international law and for the "territorial integrity and sovereignty" of the Czech Republic. Jakub Janda, director of the European Values Think-Tank in Prague, mentioned to this author that a past Czech assessment had been, "Declining security and stability in Europe's flank regions and immediate neighborhood could pose a direct threat to NATO." He also explained the results of his think tank's Kremlin Watch Reports, and how his organization and others had become leaders in countering Russian disinformation and coercive economic efforts. For example, he noted, while membership in NATO has strong popular support in the Czech Republic, the building of a NATO alliance infrastructure in the country is rejected by more than half the population. He worries that one measure of the success of Russian propaganda is that four out of ten Czechs blame the U.S. for the Ukrainian crisis, although there are Russian troops occupying part of the territory of Ukraine. And only 20% of Czechs believe that Russian organized troops are not operating in Ukraine, a view held by President Zeman. During his first public speech after recently becoming the head of the British Army, General Mark Carleton-Smith said, "Russia today is not a status quo power, it's in revisionist mode and its intent is now matched by a growing arsenal of long-range precision capabilities." One analyst, Jakub Janda, said that making tough speeches on the Russian threat is relatively easy. But coming up with a "full-government approach" similar to that which the Baltic states undertook -- understandable in light of their geographical proximity, historical experience and significant Russian minorities within their societies -- takes a much greater effort. This effort entailed taking harsh measures, such as restricting Russian pseudo-media, targeted investment and other means of misinformation and influence. According to the CSBA study, the West needs to adopt such a strategy – one that goes beyond America's current National Defense Strategy, which consistently talks about "strategic competition" in relation to Moscow and Beijing. CSBA analyst Tom Mahnken emphasized, "[T]he fact that Russia and China are waging coherent political warfare strategies is a clear contrast with the United States and the West, where attempts to understand Russian and Chinese political warfare is still a work in progress and efforts to counter it nascent at best." "...Germany, in particular but not only, stays warm in the winter with Russian natural gas meeting about 40% of its requirements. "This is an old story. The Reagan administration objected to Russian-European plans to build the natural gas Yamal Pipeline from Siberia to Germany from which gas would be distributed to much of Western Europe. The American position was that, In the middle of the Cold War, having the USSR control a majority of the supply of natural gas to Germany's industrial heartland would make it difficult for Germany to resist Russian political and military demands. But the Europeans wanted to sell Russia the machinery for the pipeline, making money as they mortgaged their energy future to Moscow. "After a bitter fight, the Yamal pipeline was partially blocked and only one strand of two was built. Post-Soviet, the Russians were able, with European support, to build the second strand. In the early 2000's Europe bought into yet another Russian-originated pipeline -- an undersea project called Nord Stream -- again providing manufacturing jobs and pipeline work for Europe as well as gas. "Early in 2018, Bloomberg reported, "Russia, which shipped some $38 billion of gas to its most lucrative markets in Europe last year, has diminished thoughts that other suppliers could ensure supplies in Europe anytime soon." Nord Stream, and its successor Nord Stream 2, will give Russia the same influence its predecessor, the USSR, would have had." In other words, decades after the arduous and successful effort by the West and its allies around the world to bring down the Soviet Union, Moscow continues to rear its head. That countries with such promise as the Czech Republic are possibly sacrificing all that they gained after the end of the Cold War for the Russian government is a sad commentary on the condition of European societies. The good news is that there are brave elements within these societies who seek to push back and reclaim their freedom and sovereignty. Their efforts deserve not only our praise, but our full support. Dr. Peter Huessy is President of GeoStrategic Analysis, a defense consulting firm he founded in 1981, as well as Director of Strategic Deterrent Studies at the Mitchell Institute for Aerospace Studies. A remark regarding the Czech Republic. Whatever 'disinformation' there may be would not be taken seriously or searched for if the news outlets actually reported news from the both sides of the political spectrum covering both sides of each issue at hand. The anti Russian bias in media is extremely strong, therefore the media easily lose credibility, and at the end nobody takes them seriously anymore. And while some issues are simply never addressed in mass media, who's to blame the people for searching for information elsewhere. There's another factor - after the break in 1989, most of the Eastern block markets were lost for the Czech industry, with the promise of a better tomorrow. While there has been a solid development, the country also became what is basically an economic colony of the west. With western capital controlling many of the country's key assets and industry. This keeps the wages down and limits the amount of money flowing in the economy, while bringing major profits for the foreign capital owners. With the recent, ever more autocratic behavior from the side of EU (wanted to "punish" the countries for not taking in undocumented economic migrants etc.) there's a growing distrust for EU as well. The feeling is that the EU is disconnected from reality and does not represent local or European interests. 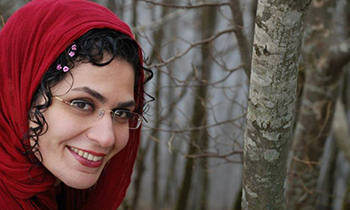 There is a push to diversify the markets and economical cooperation. President Zeman is active in the economic diplomacy throughout the former Soviet block, and China. He's also a staunch supporter of Israel, and strongly against the growing influence of Islam in Europe. Quite a character on top of that. And by the way, he is also a self confessed supporter of EU and Euro as a currency, contrary to the entirely false reports in many of the western media outlets (a perfect example of total media bias). It is ironic that Soviet Russia wanted to subjugate the West with superior tactics, and weaponry, plus an unhealthy dollop of unsavoury politics, is now doing the same thing without the added influence of Soviet pressure, and wants to achieve the same ends.